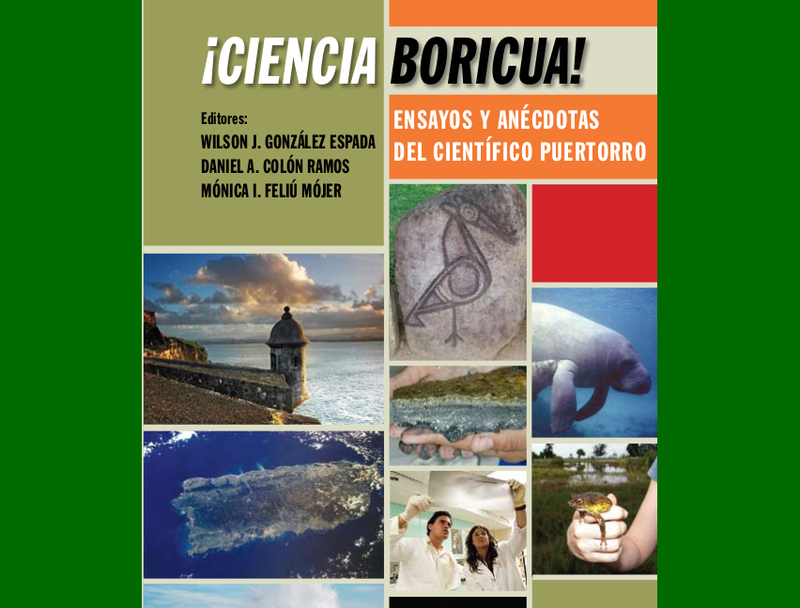 After an open call in 2009 for essays through our website, on September 2011 CienciaPR published the book ¡Ciencia Boricua! Ensayos y Anécdotas del Científico Puertorro under Editorial Callejón. This book, sponsored by Pfizer, collects 61 essays written by 24 puertorrican educators and scientists. The essays are written in a simple language with the general audience in mind. However, the book covers important and fundamental scientific concepts with precision and veracity. Many of the essays have been published in other media throught our collaborations with El Nuevo Día and Diálogo Digital. The book serves as a resource to present scientific role models and showcase science and scientists in an approachable way. Because of this, the educator community has shown great interest in the book, which is currently being used in several schools in Puerto Rico. In response, the CienciaPR has developed a topic guide (Spanish) for the book to help integrating the content to the classroom setting, and has developed a series of workshops for teachers, demostrating how to use the essays as didactic tools, not just for science, but also for Spanish, art, and other subjects. In 2012, the book was the key piece in a pilot science outreach project that has undertaken at the Nueva Escuela Juan Ponce de León with funding from the Banco Popular Foundation. The authors of the book are: Angel Nieves Rivera, Carlos Ríos Velázquez, Daniel Laó, Irving Vega, Jorge Santiago Blay, Jose García Arrarás, Juan Jose Rivera, Pablo Llerandi Román, Wilfredo de Jesús Monge, Wilfredo Ortiz, Wilson González Espada, Carmen Maldonado Vlaar, Liliam Casillas Martínez, Johanna Padró Irrizary, Uriyoán Colón Ramos, Veronica Segarra,Daniel Colón Ramos, Alexis Valentín Vargas, Osvaldo Torres Santiago, Peter J. Rosado, Samuel Luis Díaz Muñoz, Mónica Feliú Mójer y Yaihara Fortis Santiago. Thanks to the amazing response from the public, we are working on a second edition and an online version of the book. Check back for updates!